A wide set of properties for rent in Reef Island is available in a well curated list that makes property search easier than anywhere else. Reef Island is a gated fully integrated community located on an artificial island in the center of Manama. It’s a perfect model of high end residential community that has everything inhabitants need. 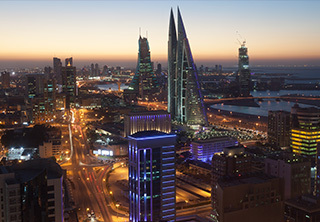 With a total investment of $1.5 billion, the project sprawls over a total area of 750 square meters and it lies in a very close proximity to Bahrain Financial Harbour. Several real estate companies are developing new projects in Reef Island that offer fancy residential units and unrivalled recreational venues. Residents of Reef Island properties will find easy access to King Faisal Highway which connects it to Manama districts in addition to Saar, Janabiya, Busaiteen, and Muharraq. Most of the displayed properties for rent in Reef Island are residential units, they vary in type between apartments, studios, villas, and penthouses. The development includes also retail spaces suitable for establishing profitable projects. Most of Reef Island residential properties present scenic vistas of the sea, they also offer fancy interior designs finished in a masterful manner by skilled craftsmen. Residents of Reef Island will enjoy a wide set of amenities suitable for all family members. The amenities are well suited to be easily accessible for all residents, each unit is attached to swimming pool, fitness gym, steam bath, and many other amenities. The properties are served also with many facilities including car parking lots, laundries, house maintenance, and groceries. The wide diversity of the available properties for rent in Reef Island makes it suitable for all segments. Single professionals will find it very convenient thanks to its central location and upscale residential lifestyle offered. Moreover, families will find it suitable since it has a wide range of facilities. The whole ecosystem available in Reef Island is human oriented with a great emphasis on offering serene environment with all needed facilities available. Residents of Reef Island will find several sea-view restaurants offering a wide gastronomic experience in addition to fancy cafes, walkways, sports venues, and many getaways. The development includes many parks and promenades where residents and visitors can unwind and find total calmness. There is also a large marina including several fantastic yachts. Ideally situated in the heart of Manama, Reef Island has a number of hotels featuring high end style of hospitality and a big range of amenities like Reef Resort. It also lies in a close proximity to a number of five-star hotels like Intercontinental Regency Bahrain, Gulf Gate Hotel, Ibis Seef Manama, and many other. Choosing a property for rent in Reef Island could be a tricky process since all displayed properties there feature the same standard of luxury coveted by all. However, Weetas made it way easier by creating a clear list of properties where searchers can browse and find exactly what they are looking for. Weetas will back you up during the renting process starting from searching for properties to signing the contract and moving.